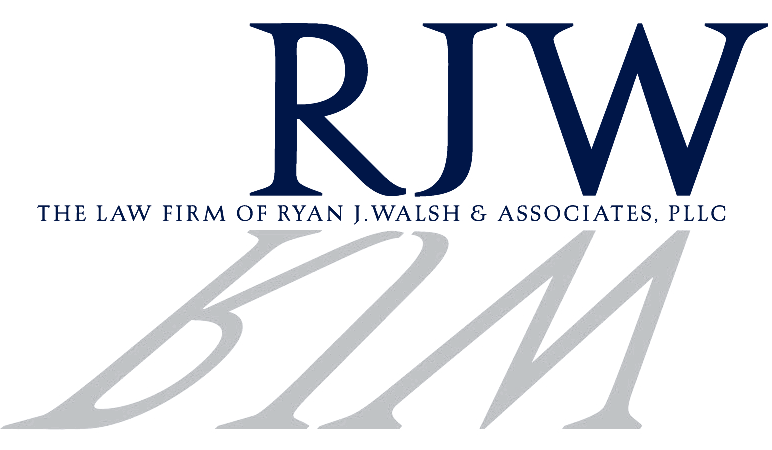 At Ryan J. Walsh & Associates our elite team of attorneys are here to assist in all facets of the realty process. From purchasing and lease agreements, to loans, lending, and mortgage contracts – our years of experience provide us with the skill and the unique vision to ensure our clients gain the most from the process, and avoid common pitfalls that often cause deals to fall apart. One of the most valuable aspects for clients to take advantage of is the FHA Loan process. During the early 1900’s the US Congress created the Federal Housing Administration, and the FHA mortgage or FHA Loan. Coming off the heels of the Great Depression, this was a time of struggle for most of Americans, and many found it impossible to meet the terms of their existing mortgages. The FHA Loan was created to help those struggling financially – allowing them to pay for housing and home-ownership. And despite still being a valuable tool for prospective buyers today, the FHA Loan process can be confusing making it necessary to acquire the services of a qualified FHA Loan lawyer. The FHA is loan is a federally insured loan, that is managed by the Federal Housing Administration as well as the Department of Housing and Urban Development or HUD. With the help of an FHA Loan attorney clients who might not qualify for a traditional mortgage loan, can still purchase the home of their dreams. Why Do You Need an FHA Loan Attorney? As NYC’s top FHA Loan attorney Ryan Walsh, Esq and his team will help you to navigate the difficult steps in order to get the best terms and become a homeowner. While the FHA Loan is most often used by first-time buyers, many different individuals and families can qualify for one. The most important part of an FHA mortgage or loan is meeting the requirements. Because it is essentially reserved for those who wouldn’t otherwise qualify for a “mainstream mortgage”, there are a set of specific guidelines one must adhere to in order to even be considered. With the help of a qualified FHA loan lawyer, you can ensure that you not only meet the requirements but have all the necessary paperwork in order as well as a advocate who will be able to mediate all interactions with the FHA on your behalf. As an FHA loan lawyer, Mr. Walsh will help you adjust your financial standing over time, and advise you on the best means of acquiring such a loan. Borrowers must have stable employment for at least the past 2 years. Borrowers must have a valid SSN, and be lawful residence of the US. For those with a credit score of 500-580, the minimum down payment is 10%, again this can be gifted from a family member. The loan is only for a primary residence only. The home must have certain standards and must be appraised by an FHA-approved appraiser. Your total Front-End Costs must be less than 31% of your total income. However, some may get away with as high as 40%. Your Toal Back-End Costs (including debts, credit cards, and the mortgage) must be less than 43% of your total income. You can get away with as high as 50%. One the biggest reasons to acquire the services of a top FHA Loan lawyer is that there is some amount of “wiggle-room” within these requirements. And in order to make the most of these loopholes within the system, you need someone with the mediation skills, as well as the experience in the process. As the top FHA loan attorney in NYC, Ryan J. Walsh, Esq. has helped a number of different prospective buyers qualify for the loan, by justifying certain things like an acceptable risk. Justifying an acceptable risk is one of the most important jobs for an FHA loan lawyer – in the event, you do not line up exactly within the requirements of the FHA mortgage, a good lawyer can help to sway the opinion of the FHA and ensure that your loan application be accepted. For instance, if your total back-end debts were to be higher than 43% of your total income, your FHA Loan attorney might explain that you have a strong possibility for growth within your job, or that you might be in line for an inheritance, that will limit your risk of defaulting on the loan – these items are known as compensatory factors. Of course with such lax terms and requirements for a mortgage loan, the FHA must have insurance in the event of your default. With any FHA Loan, 2 types of mortgage insurance premiums are required. The first is paid in full, upfront or financed into the mortgaged – this is 1.75% of the total loan. The other is always a monthly payment that is calculated based on the length and amount of your loan, most often at or below 1%. In addition, the FHA requires that the property meet certain requirements/conditions, and must be appraised by an FHA-approved appraiser. If you are a prospective buyer, with less-than-perfect credit, than an FHA Loan might be for you. With the help of NYC’s top FHA Loan attorney, Ryan J. Walsh, Esq. you can own the home of your dreams, sooner than you think! For more information on the FHA loan process or to schedule a consultation with Ryan J. Walsh & Associates, contact us today.